During the last 25 years I have interviewed more than forty leading psychotherapists around the world. I will be sharing parts of these interviews along with some of my commentary. I contacted each therapist ahead of my arrival for the interview with a summary of the three essential questions I would be asking them. So they were somewhat prepared in advance with the direction the interview might take. Of course there were follow-up questions and some of my interviews were more like dialogues or conversations than straight interviews. The three essential questions were: 1) What were your background influences in your decision to become a psychotherapist and develop your particular approaches and contributions to psychotherapy? 2) How would you describe the distinctions between what you have developed and written about from any other approaches to psychotherapy? 3) What do you anticipate your legacy to be? How might your work be continued and who might be your heirs? 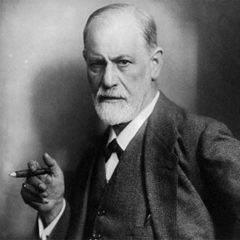 Also, what do you believe will be the future of psychotherapy? I have included in this post a list of the therapist I interviewed. I will share parts of the interviews in future posts.